The Canadian Wildlife Health Cooperative (CWHC) and the Centre for Public Health and Zoonoses (CPHAZ) will be hosting the 2016 International Conference on Diseases in Nature Communicable to Man (INCDNCM) at the University of Guelph. 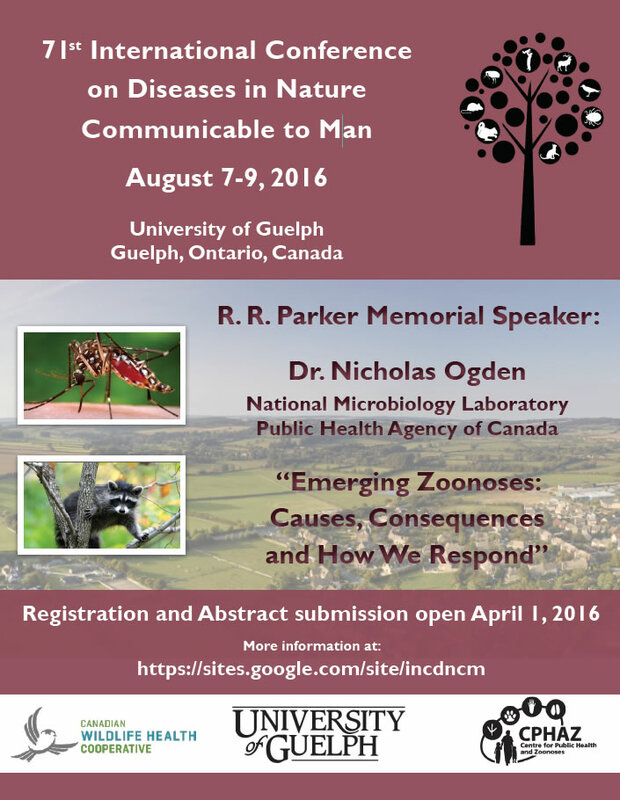 Abstracts are now being accepted until May 30, 2016, and registration for the conference will close on July 22, 2016. HI Michelle. Thanks for your interest. I will add you to our email list and have just emailed you now with a note about the abstract deadline extension for the INCDNCM Conference.